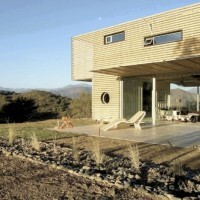 James & Mau Architecture have designed the Infiniski Manifesto House in Curacaví, Chile. 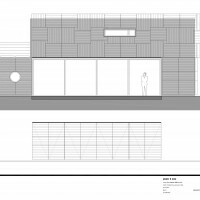 Infiniski is a construction company that specialize in building eco-friendly houses and buildings based on the use of recycled, reused and non polluting materials. 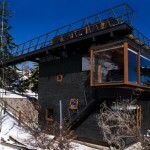 The Manifesto house represents the Infiniski concept and its potential: bioclimatic design, recycled, reused materials, non polluting constructive systems, integration of renewable energy. 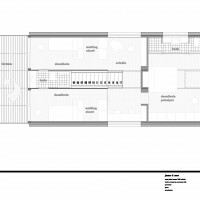 The house, of 160m2 is divided in two levels and uses 3 recycled maritime containers as structure. 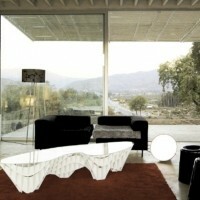 A container cut in two parts on the first level is used as the support structure for the containers on the second level. 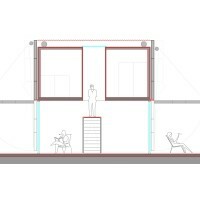 This structure in the form a bridge creates an extra space in between the container structure, isolated with thermo glass panels. 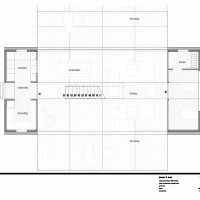 As a consequence with only 90m2 worth of container, the project generates a total 160m2, maximizing and reducing significantly the use of extra building materials. 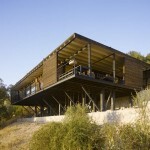 This structure in the form of a bridge, responds to the bioclimatic needs of the house- Form follows Energy – and offers an effective natural ventilation system. 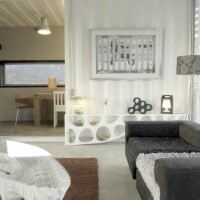 It also helps to take full advantage of the house´s natural surroundings, natural light and landscape views. 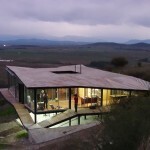 Like if it had a second skin, the house “dresses and undresses” itself, thanks to ventilated external solar covers on walls and roof, depending on its need for natural solar heating. 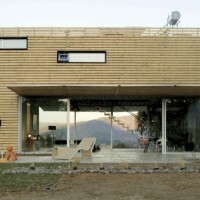 The house uses two types of covers or “skin”: wooden panels coming from sustainable forests on one side and recycled mobile pallets on the other. 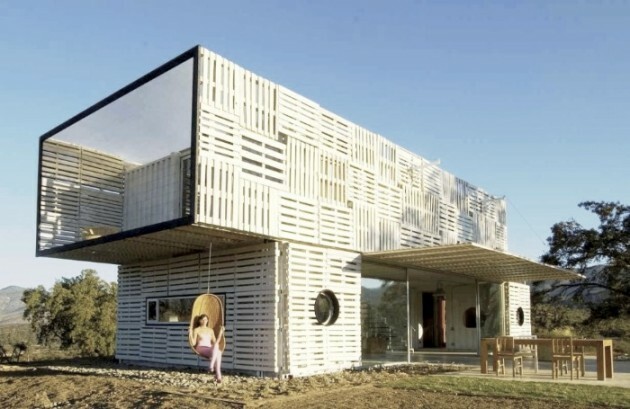 The pallets can open themselves in winter to allow the sun to heat the metal surface of the container walls and close themselves in summer to protect the house from the heat. 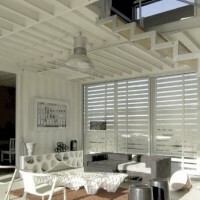 This skin also serves as an exterior esthetic finishing helping the house to better integrate in its environment. 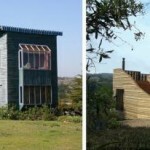 Both exterior and interior use up to 85% of recycled, reused and eco-friendly materials: recycled cellulose and cork for insulation, recycled aluminum, iron and wood, noble wood coming from sustainable forests, ecological painting, eco-label ceramics. 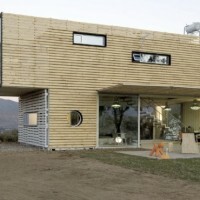 Thanks to its bioclimatic design and to the installation of alternative energy systems the house achieves 70% autonomy. 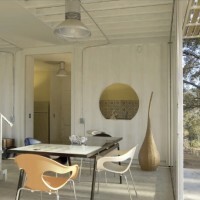 Visit the James & Mau Architecture website – here. Visit the Infiniski website – here.